Dignified windows, elegant moldings, an ornate iron exterior gate that leads you into a regal entrance door, mature landscaping, and everything else in all the right proportions makes for the perfect home. 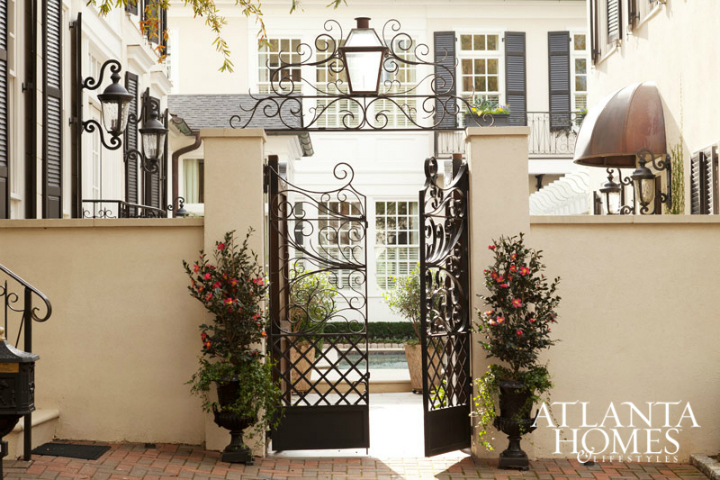 The Peachtree home spotted on ATLANTA HOMES, features the classic, traditional hallmarks of the Historical Concepts architecture firm based in the same city. 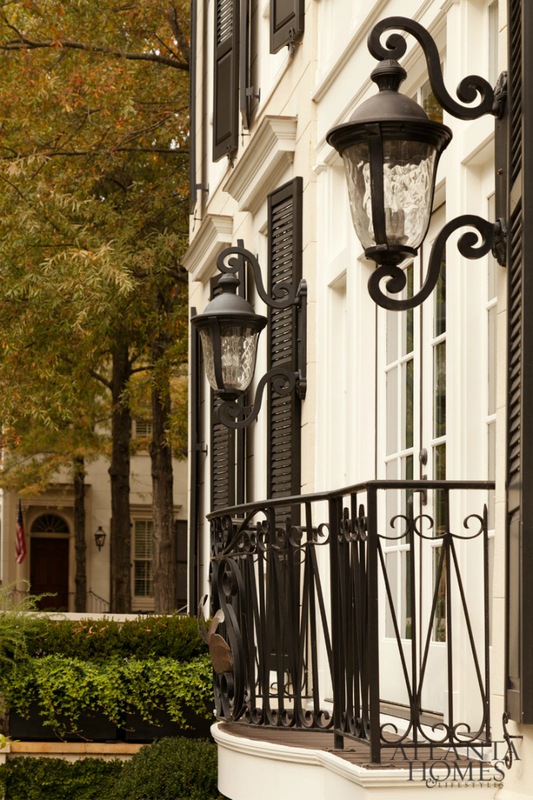 Longtime Peachtree residents Marcia and Mike Taylor, with the help of prolific architects, builders and designers, went through a wonderful process of renovating the house prior to their move. The structure held strong architectural elements, which were simplified to create similarly strong but more refined lines, such as the trims and moldings. Beams were added to ceilings, which evoked feelings of substance, depth and age. Anyone who sets foot in this hospitable family’s house will be awe-inspired with such a bright and charming place. Towering windows with woven shades surround the adorable sun room. A couch is placed alongside a half-wall corner bookcase, across the center table right under a gold chandelier. It’s the ideal spot to do anything under the sun, while you’re wrapped in luxury right in your own home. The living room is sprinkled in gold and white, from the vintage frames to lamps, round mirror, chairs and tables. 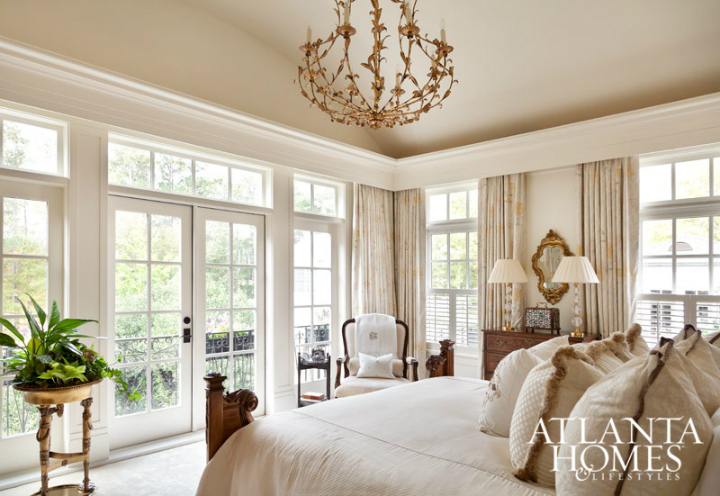 The light tone of the furniture, decor, drapes, and natural light passing through classic windows make this part of the home very welcoming and luxurious. 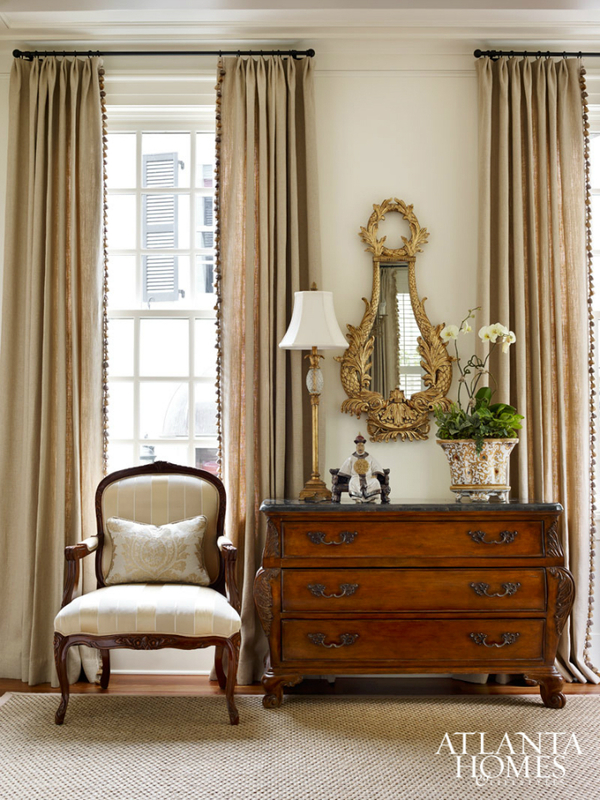 A bergere amidst a large window, bomb chest, and carved rococo gilt mirror creates an utterly beautiful and pleasant sight. 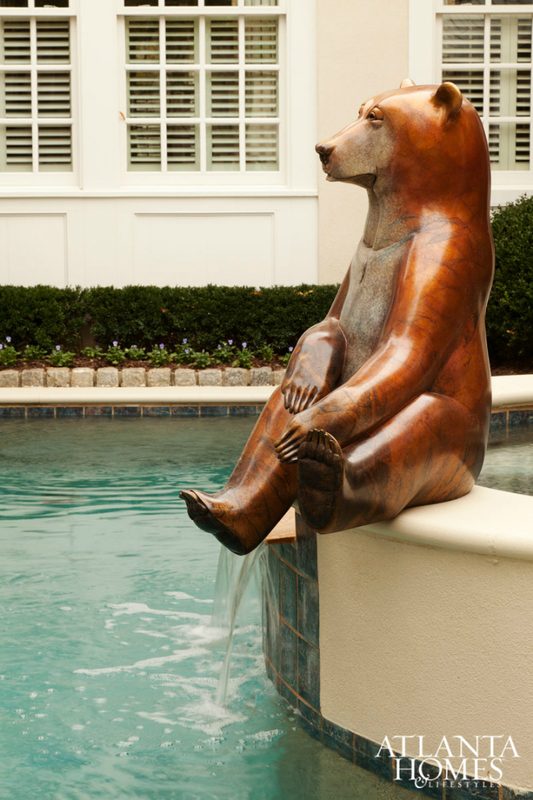 On one side of the pool sits a lustrous bronze bear sculpture that commands admirers’ attention. 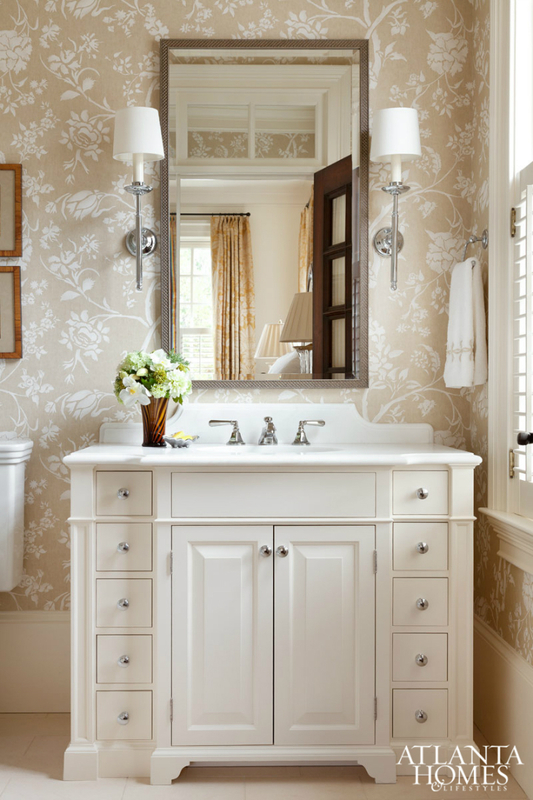 Soft, inviting spaces altogether make up the home, including the bathrooms, with its light-filled cream palette. 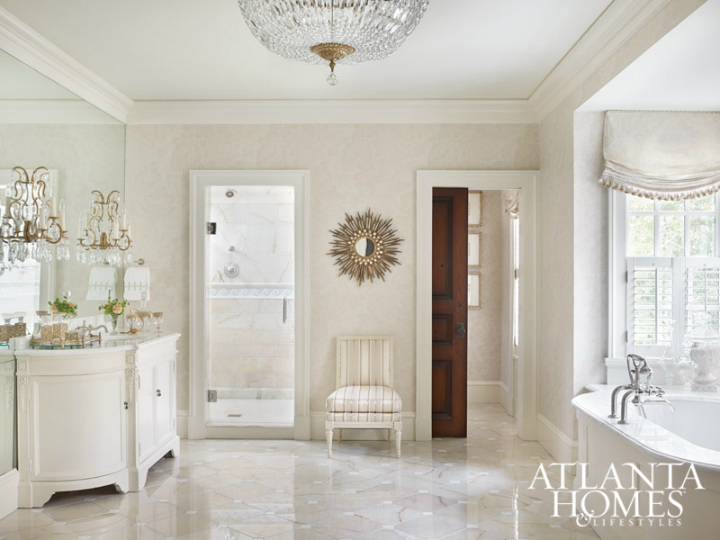 The master bathroom spells sophistication with crystal chandeliers, mirrored glass, and crisp white cabinetry. Golden accents match the rest of the lighting and fixtures in the house, which enhance the huge space built with a gorgeous bathtub. The other vanity features an upright rectangular wall mirror, set atop a clean white sink with cabinets that match the color of the lamps. Marcia has an extensive art collection that were made to blend in with antiques, which produced more formal aesthetics that remained comfortable imbued with her personal touch. Plant life and flowers are seen in various rooms of the house, which enhances the place with greens and breathes in life all throughout. It seems that the classic house was arduously cared for by previous genteel owners and has been nestled for centuries in its lovely mature landscape.